Advertisers are reportedly upset with the restrictions Apple has placed on formats for iOS 9's News app —as well as the barriers campaigns must pass for approval. Apple CEO Tim Cook has been forced to back off some policies, industry sources told the New York Post. A given example is that Apple only recently let publishers embed articles with links back to their own websites. Without that option, the worry was that critical visitor traffic might be drained away. Although publishers like CNN, Time, and Vox are making most of their content available in the app, some are said to be planning to offer a few dozen stories a day at most. Standouts in that sense include companies that depend on paid subscription models, such as the New York Times and Wall Street Journal. Some ad executives have complained that common tools like real-time placement bidding aren't in place for the News launch, and that Apple is requiring 48 hours notice before approving a campaign. The company is also allegedly demanding that pre-roll ads before video segments get their own approval. Apple is moreover refusing to support Google's DoubleClick ad platform. Edward Kim, a member of the online marketing company SimpleReach, argued to the Post that Apple is attempting to use News to build up iAd. That platform has struggled to gain ground in a market dominated by Google —whereas Google ads can reach virtually any device, iAd is unusable in some key spaces, like Android. The News app will go live when iOS 9 debuts this Wednesday. 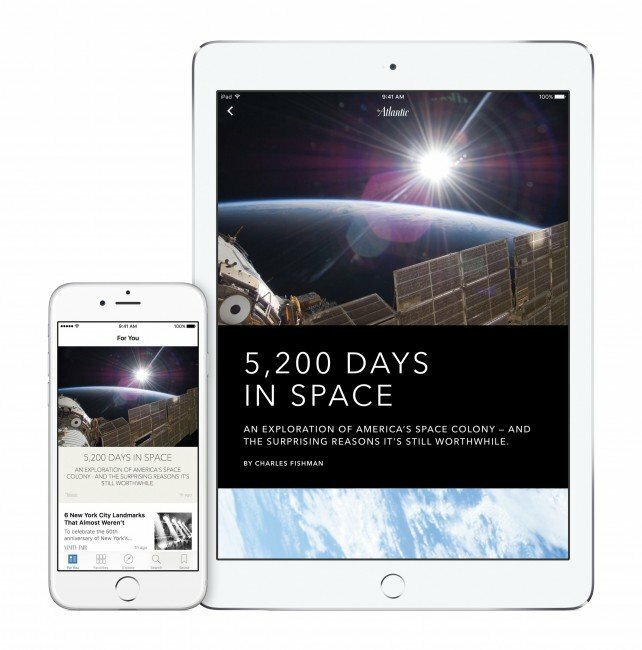 Apple is aiming to make the app a central source for news of all kinds, but presented in a way friendlier to iPhones and iPads. Publishers will get to keep all of the revenue from ads they sell on their own —but Apple will take 30 percent of backfill revenue.